HomeRubber Bracelet WristbandsAdult Size 8" Awareness WristbandsCure MS Orange Rubber Bracelet Wristband - Adult 8"
Cure MS Orange Rubber Bracelet Wristband - Adult 8"
Buy the "Cure MS Awareness" Orange Rubber Bracelet Wristband. Our "Cure MS Awareness" wristband is made from 100% silicone rubber and comes packaged in a polybag. 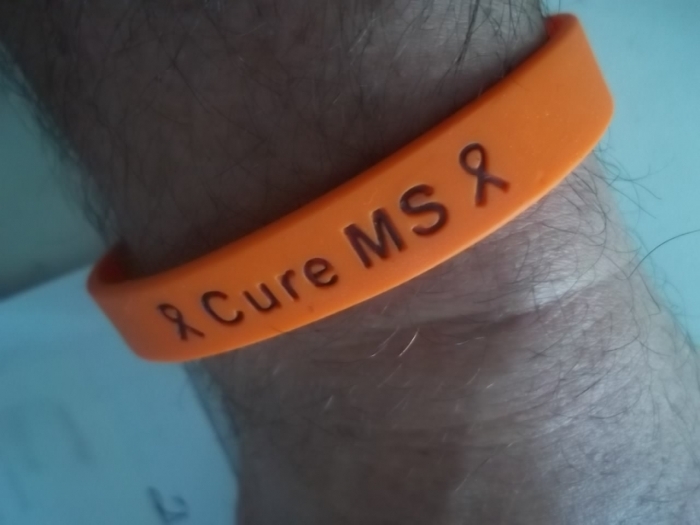 Cure MS Orange Rubber Bracelet Wristband - Youth 7"
The bracelets are great and arrived very quickly!! I do like t he band. But, compared to other bands I have seen the width is a little small. That makes the "Cure MS" even smaller. Merchant Response:Thank you for your feedback. Our wristbands are 0.50 inches wide, which is a standard size for these types of wristbands. I have MS and my family members wear these to support me. They were worn out so had to order more! My oldest son requested this time! I ordered these for an MS fundraiser. Great product and delivered quickly. It's a silicone wristband. There are no obvious seams. The writing is readable and they seem durable enough to go through the showers with nary a worry. Definitely a good item to have. I'm very pleased with the bracelets. Helps provide awareness. Haven't taken it off since I received it. Helps remind me and others of the daily struggle with MS. This Wristband is perfect to show your support for bringing awareness to MS. It is durable and very comfortable. This bracelet is perfect for anyone who wants to bring attention to MS and contribute to finding a cure. I have a few friends who are afflicted with MS and by purchasing this, so it is a nice way to show support. Great for anyone that knows someone with this debilitating disease. The more support the better! The rubber awareness bracelet is great. I love the fact that it's engraved verses the print that washes or wears off. It's bright and seems pretty durable. I'm pleased with this purchase. The band was a nice fit.The only thing I did not like was the wording was not clear so I went over it with a biro to make it stand out more. They slide right on and are not itchy! I ordered these bracelets in honor of my husband who was diagnosed two years ago. I couldn't believe how fast they arrived I'm very happy with my experience I will be placing another order today. We both are grateful and thankful for the Support Store having the wristbands for Multiple Sclerosis (MS); we both have this condition and wanted to shout out to others that we do support each other through our journey. The wristbands are the perfect fit for our wrists. Thank you so much! I plan to shop again soon with the Support Store. Could not be more pleased with the quality of these bracelets. I was pleasantly surprised by how quickly they arrived, but I wish they were available in a larger size! I know several people who want to show their support but will not be able to wear these. 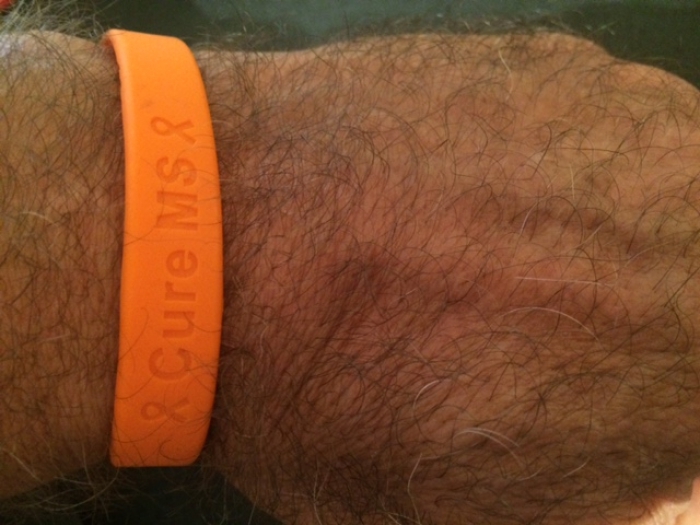 If my wife did not have MS I would not wear it myself. I would recommend this product, but not for everyone. Very pleased with the shipping time and the product. The only thing I would change would be to have them come in a option an inch bigger. I love the bright orange color!!! I am proud to wear this to show support for MS!! !